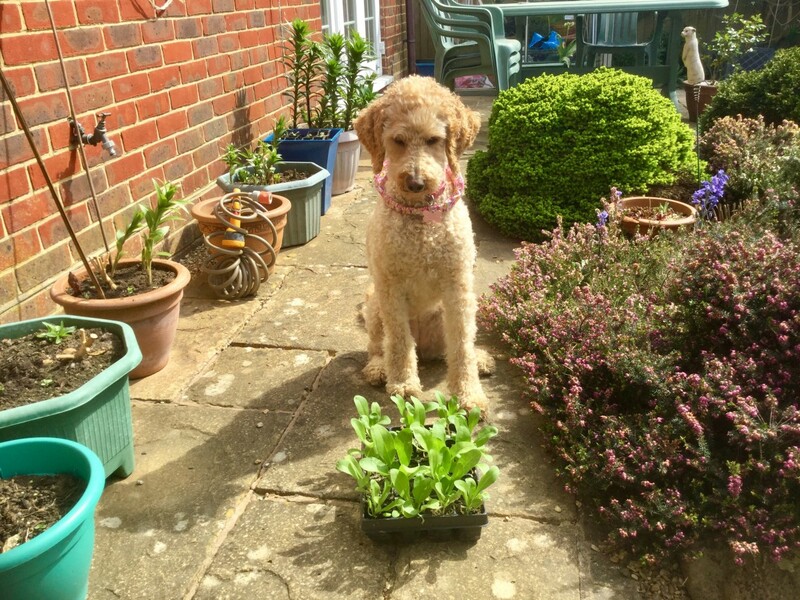 Linda's passion for gardening have encouraged her to write about growing different types of organic vegetables and flowers. I love veggies. When we ordered a raised-bed for our garden, I was delighted because I hope it will be easier for me to plant my vegetables in it without having to be bending so much. But when it came, there was no instructions on how to put them together. I was gutted. I would not have a clue on how to put them together. Good thing, my husband took a photo of an assembled raised-bed on the internet website where we bought it from. We look at the photo and from there we tried to put the raised-bed together. 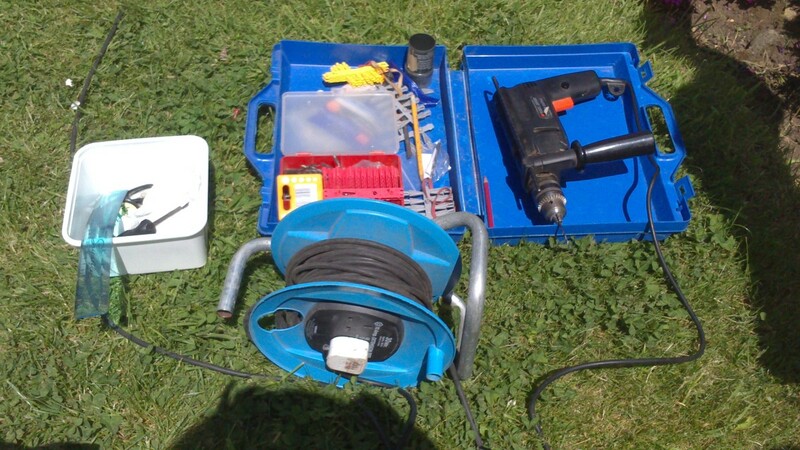 My husband is quite good at D.I.Y's so with that, we got his tools out like drill with bits and started to study how to put them together. We checked first that all the parts and bits and pieces were there before we started assembling or putting them together. The positive thing about the raised-bed we bought is that the wood quality seems very good and it might last a bit longer. We had to use our initiative and observations as this is the first time we ordered a raised-bed for the garden. Looking at the photo we gathered all the wood together and then started the work. First we gathered the wood sections/lined them up. 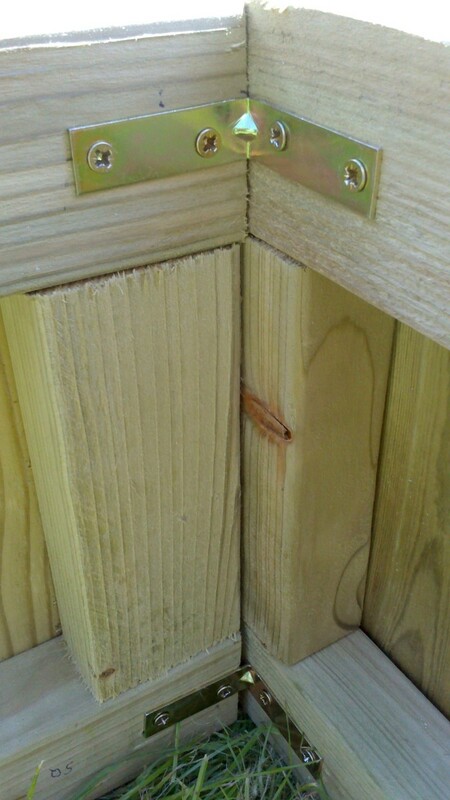 Measured the corners where we are going to put the brass brackets to hold the raised-bed corners. 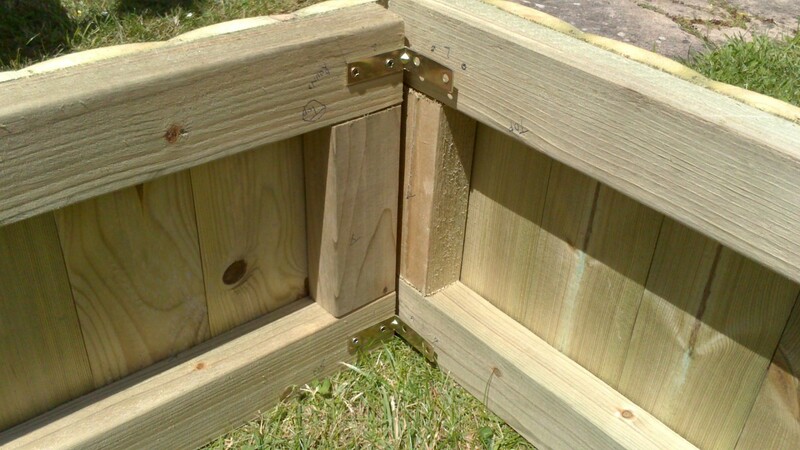 Then drilled holes for the screws to hold the brackets in place, then screwed in the brackets on four corners of the raised-beds. 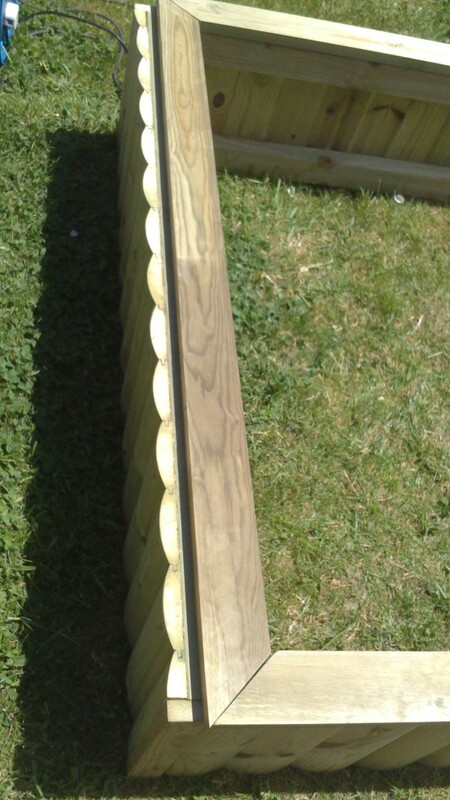 After that, we have to count all the brass screws and work out how many we have to use on the top bit of the raised-bed. 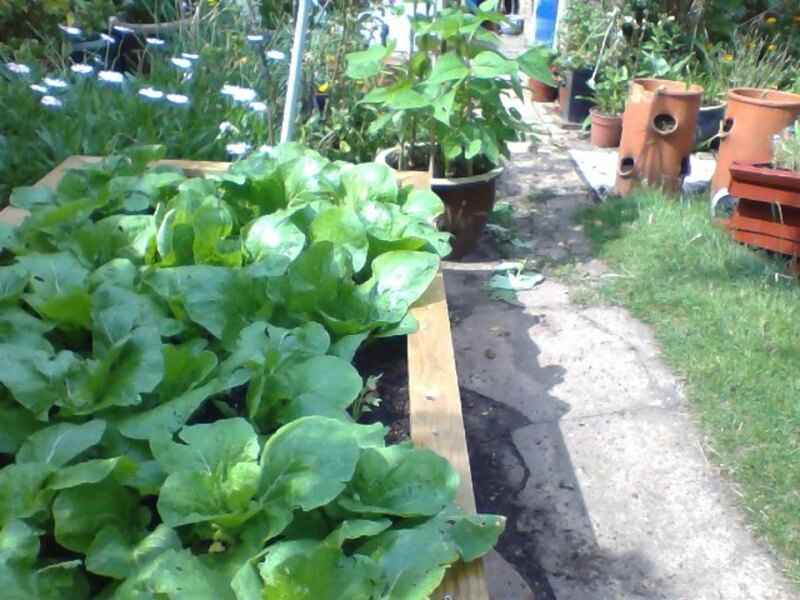 Then we lined up the planks of wood on top of the raised-bed. Measured the equal distances of where to screw the brass screws and marked them, then we drilled holes screwed the brass screws in. Then when we finished, carried the assembled raised-bed to where I want to put it. I had to measure and make sure it is level by using a spirit level, levelled it. Filled it with soil, old newspapers and compost, then planted some of my favourite favourite greens like purple and green pak choi, cucumbers, peas and beans. 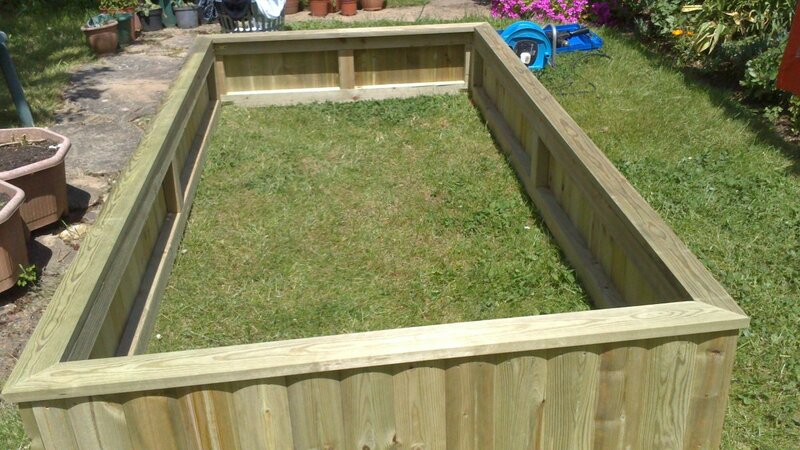 Have you ever put together a raised-bed without instructions. When assembling raised-beds use brass screws and brass brackets so that it won't get rusty because if you use ordinary screws and brackets it will rust easily according to my husband. 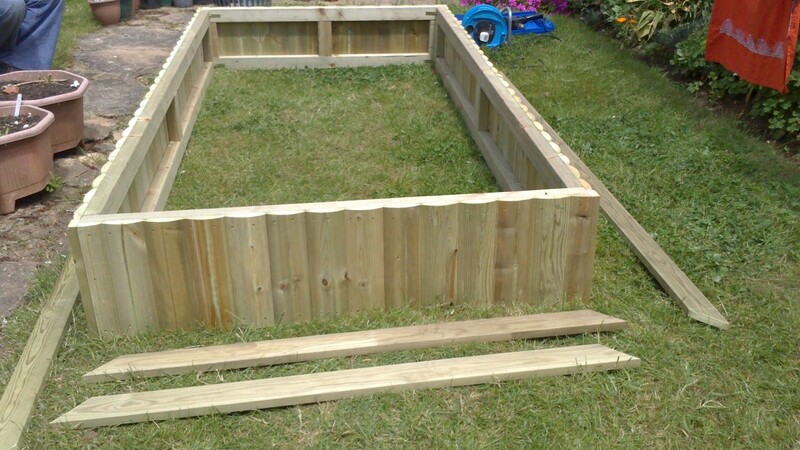 Before starting to assemble the raised-bed, find a flat surface in your garden where you can easily move around to put together your raised-bed. We used our lawn to assemble the raised- bed. 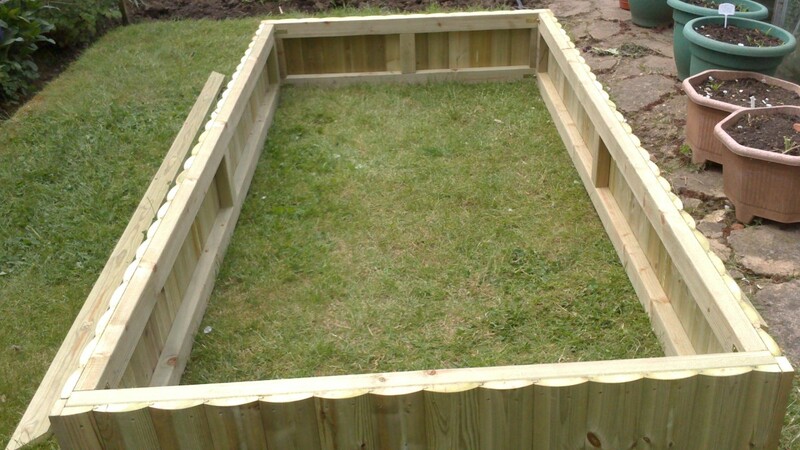 Make sure you raised the soil where you want to put the assembled raised-bed by digging it and shovelling it to the centre of the raised-bed. 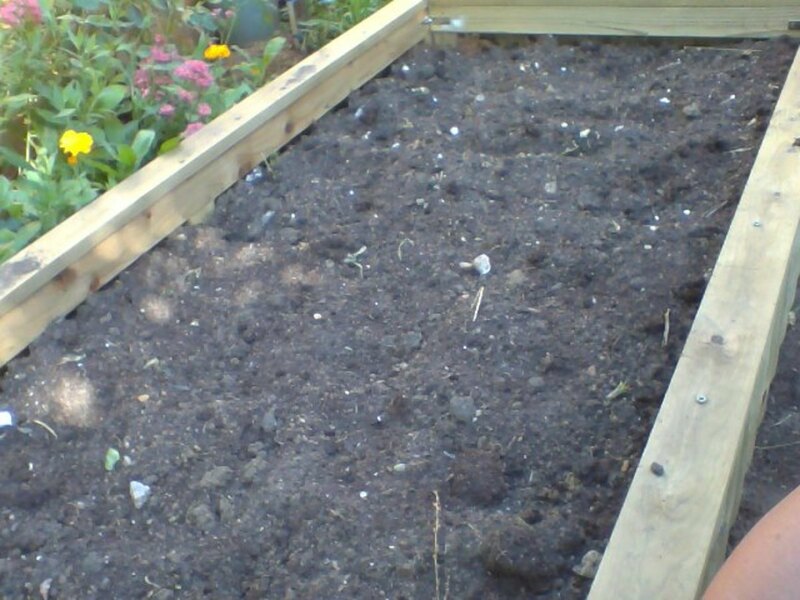 Once you put the raised-bed in place then spread the soil evenly inside the bed and put some compost with fertilisers like Growmore Plant Food(these are like pellets) and mix them all up. Now your raised-bed is ready for planting. It would be better if you use your own compost or mix it with any multi-purpose compost that you buy from the garden centres. 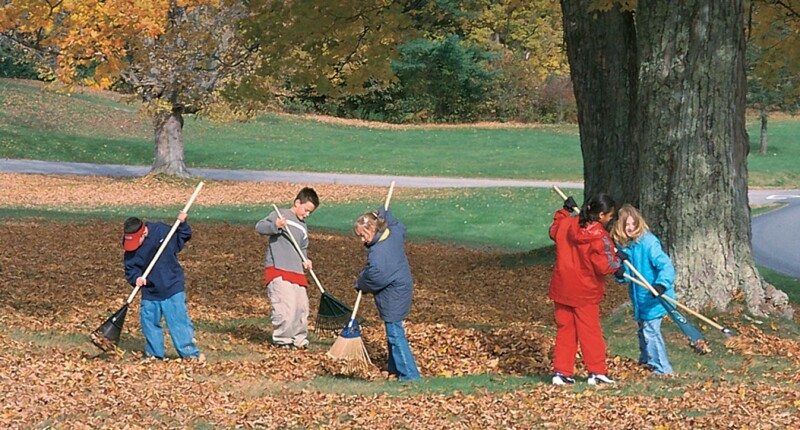 It keeps your garden tidy. Your plants will be easier to care for. Don't do too much bending. 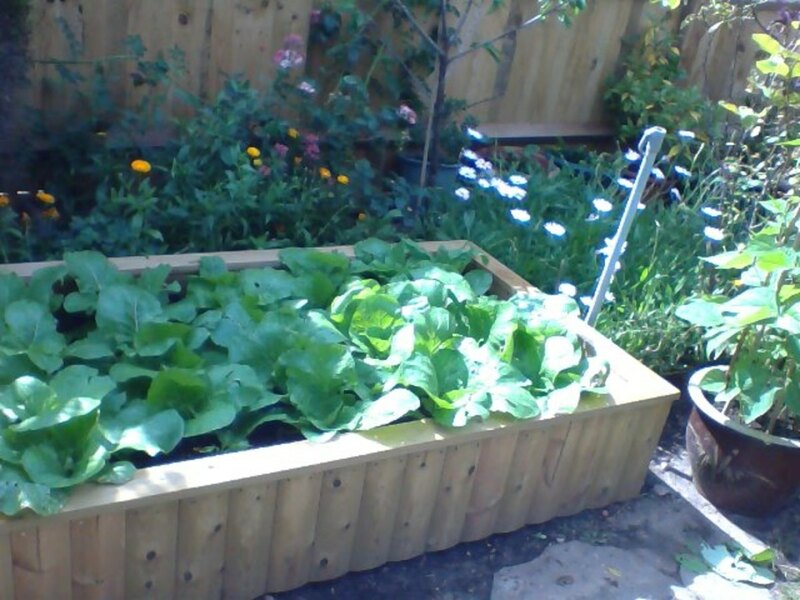 Water is not wasted because the raised bed tends to retain it. It is easier to water the plants. 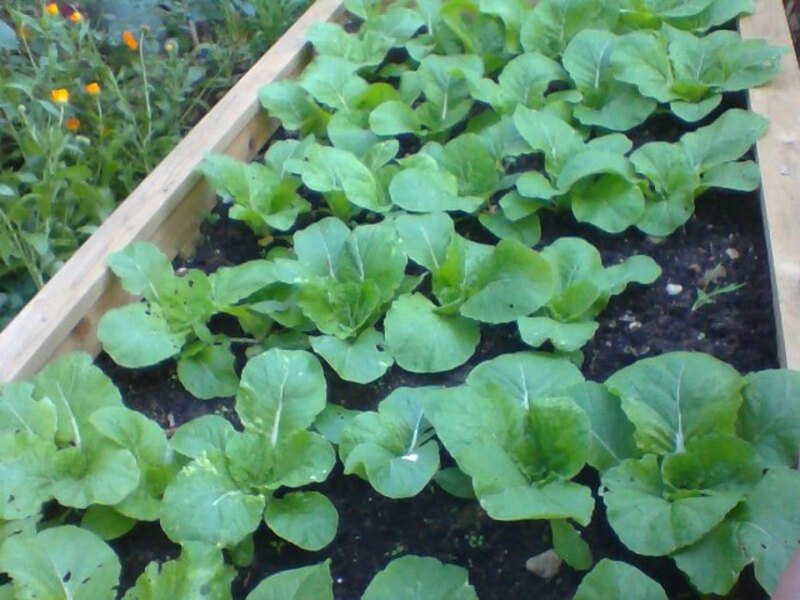 It is easy to plant vegetables that you like in one raised bed. Slugs are easier to get rid of. 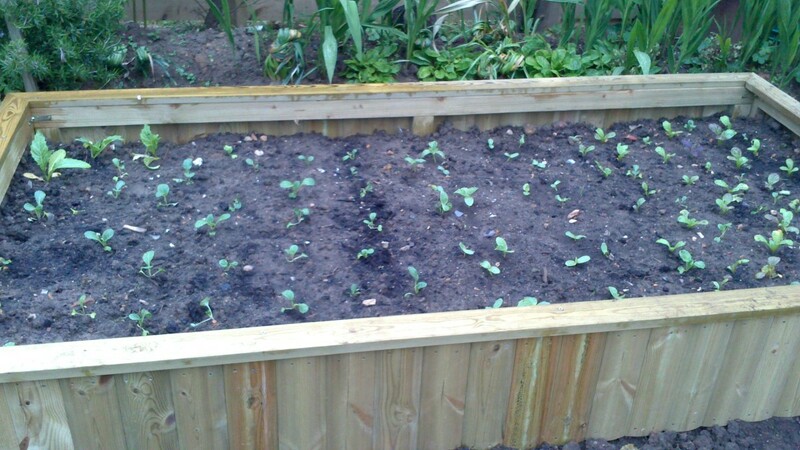 Vegetables grow better in a raised bed. Supermarket vegetable trays can be assembled for mini raised beds to use for planting herbs or salad leaves like basil, sage, celery, Pak Choi, mustards, lettuce, Chinese cabbage, chives and many more vegetables. 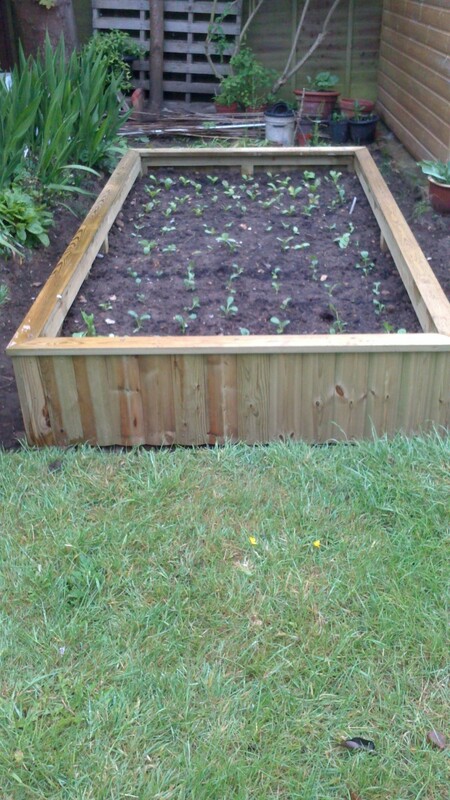 Discarded planks of wood in the tips can be collected and made into raised beds which are really useful also for planting seeds. Our raised bed is more or less like this one that is selling in Amazon but ours is wooden but I think this raised bed looks like it is made with painted galvanised material or metal. Metal means it last longer than the wooden ones. Thank you IndependentMind for your lovely comment. 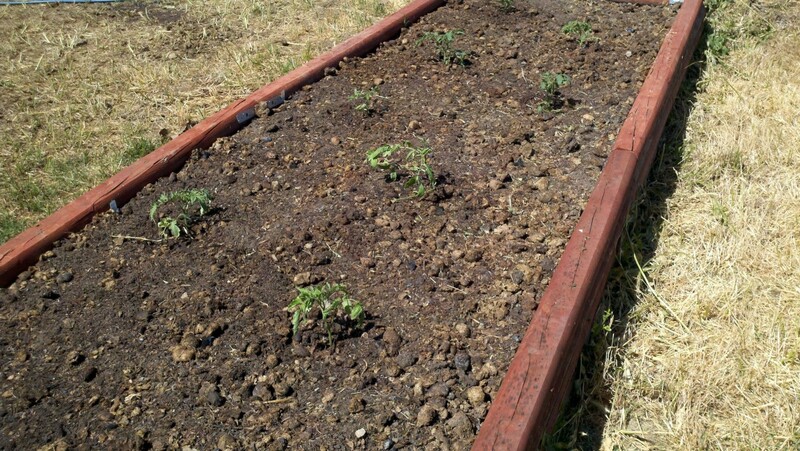 I do recommend having a raised bed garden. 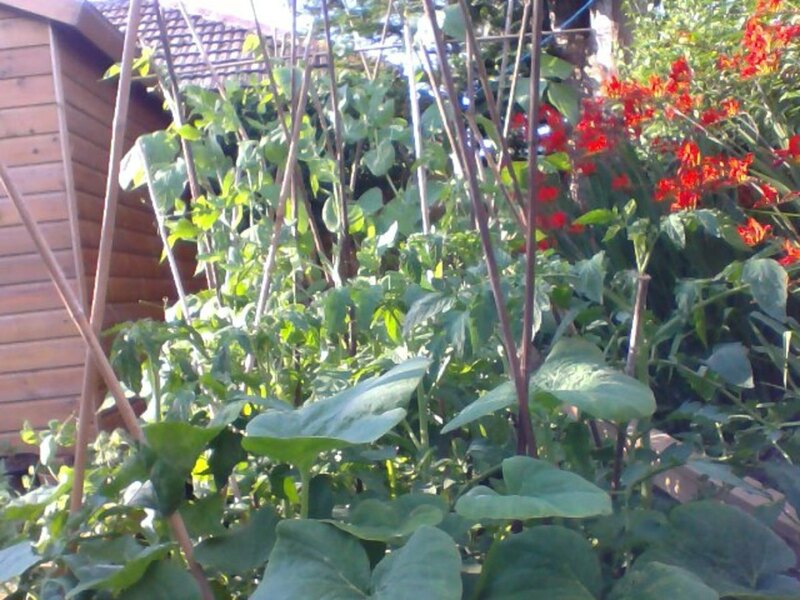 I love it because it looks neat in the garden and I can grow any veg I like. Great hub. I think about building one every year but never seem to get around to it. We live in a part of the country where the ground is mostly sand, so it is almost impossible to grow vegetables without growing them in some kind of a container. You have inspired me to build one for some fall planting and to be ready for next spring. Thank you rebeccamealey for your kind comment, glad if it helps. This is great! 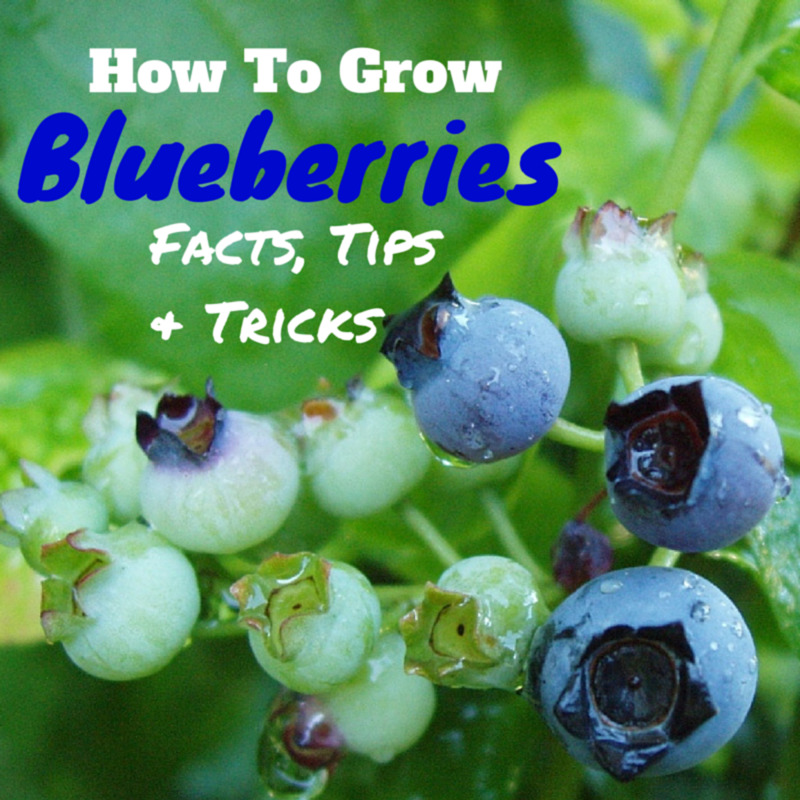 Easy to follow directions and explained with good photos! Thank you jabelufiroz for your kind comment, believe me it was hard work putting them all together but I am very happy now I got a bed for my plants. Useful tips for raised bed assembly. Voted up for your hard work.